From the early days of the Roman Republic through the fall of the Roman Empire, whenever a general achieved a great victory on the battlefield, a Triumph, a grand civil and religious parade was held to publicly celebrate and sanctify the military achievement. On the day of his triumph, the general wore a crown of laurel and the all-purple, gold-embroidered triumphal toga, this was regalia that identified him as near-divine, almost a demi-god. He rode in a four-horse chariot through the streets of Rome in procession with his army, captives and the spoils of his war. Yet, interestingly enough, amidst this pageantry and procession, as the general was paraded through the streets celebrating his accomplishments, and applauded by adoring throngs, standing behind him was a slave. This slave was tasked with a very simple job. The slave was to constantly remind the general that he was only a mortal. 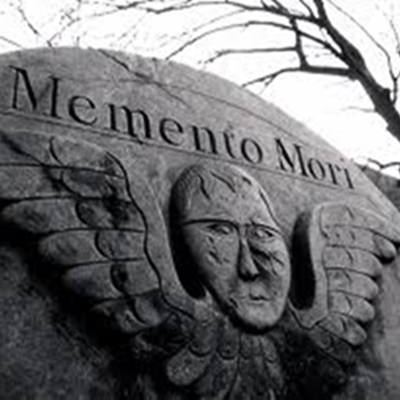 The slave whispered the warning, “Memento mori” – remember that you are mortal, said the slave, over and over, into the general’s ear. Amidst the clamor, over and over, “remember that you are mortal” he was told. Remember that you will die. Each year, the Church issues this reminder to us in this ritual, remember that you are dust. Remember that you are mortal. The Christian faith is the constant intermingling of the reality of death with the truth of God’s promise. When we are baptized, we are said to be dead to sin and born into new life. Each week on Sunday, each day in our chapel, and today, we remember Christ’s death and proclaim his Resurrection. This annual reminder of death is the remembrance that our time is short – no matter our triumphs or our tragedies – we do not have long to gladden the hearts of those we love and to make peace with those we have harmed. It is an annual reminder of the desperate need for honesty in our lives. Lent is not a call simply to acts of self-abasement – it is a call to honesty. To honestly see our faults. To honestly ask for forgiveness, from God and from those we have hurt. And to honestly believe that our sins are put away – that we are forgiven, that we walk in newness of life. An incarnated faith requires, from time to time, that we come to terms not only with the miracle and the promise of our faith but with the messiness and the pain. This dust is a sign that reminds us of brutal realities. Yet, the dust we are marked with today is a shadow of the sign we received at our baptism. In Christ, dust is never the end of the story. It is a reminder of our story’s greatest power. When we sin and even, even when we go down to the grave we know that we are raised to new life, forgiven, and transformed. Repentance fixes that Baptism in our hearts and minds. This holy season of Lent is not about becoming perfect, but about turning toward and walking toward the perfection that we were made one with at the baptismal font. In Lent, we clear away the clutter of temptation, pride, anger, and fear and remember who God has made us to be. We make room for the wholeness of Christ’s Presence to well up in us freshly. There are forces, people, times, things, desires, fears, and so much more that twist and contort our very selves and our sense of who we are – until we are wandering and wondering who we are and how we got here. The Devil makes use of our insecurities, as we struggle in the Wilderness, to draw us, bit by bit, fear by fear, rejection by rejection, dashed hope by dashed hope, into loathing – of ourselves and others and, finally, even into unbelief. Whether it is hubris, greed, or apathy – the world’s values ultimately lead to a painful place in which our only hope is that there are others lower than us – others we can use, hurt, or simply ignore . Lent is our chance to reclaim Christ’s values as our own – to remember and to reaffirm his hold on our hearts, bodies, and minds – and to remind ourselves of his Presence in those we wrong and who wrong us. Let’s take this Lent to be honest with ourselves – where are we falling short of the person God baptized us to be? Where are we forgetting, in our lives, that we are simply mortal, and that all we have is a gracious gift from God? Wear these ashes today as a mark of your mortality. Wear them as a mark of penitence. Wear them also as a gritty reminder that we are marked as Christ’s own, we are made for holiness, and we are called to a life that makes Christ known. The power and promise of Baptism is the very stuff of creation and redemption. Earth and Heaven – Dust and Divinity – are joined in in the love of a God who hates nothing He has made – a God whose Son spans the chasm between our fears and God’s mercy. Remember that you are mortal. Remember that time is short. Remember that you are my own. Remember my promise. Remember my voice. Remember me. Remember.